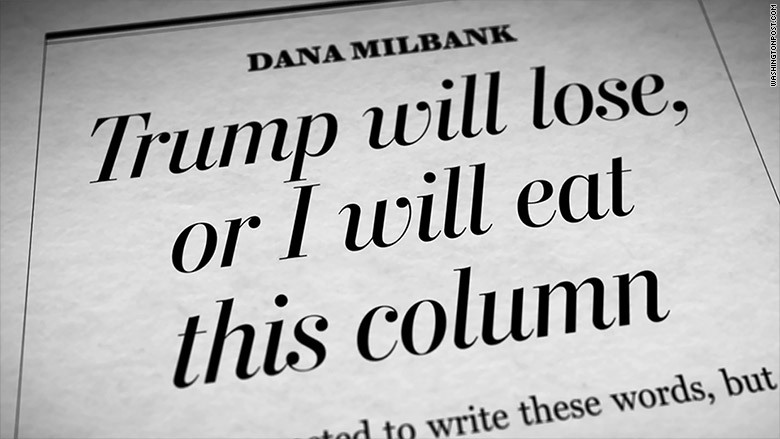 Dana Milbank is working up an appetite. 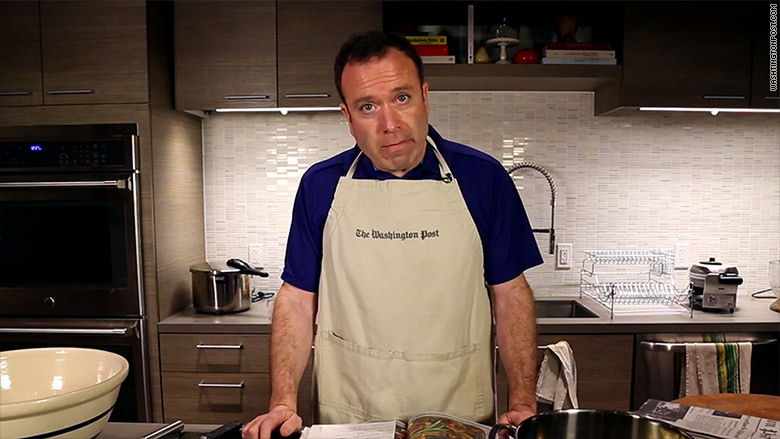 Will Dana Milbank eat newspaper-lined tacos or ground newspaper falafel? Chilaquiles with strips of newspaper or crispy dumplings filled with newspaper? The Washington Post columnist has to choose a delicacy now that Donald Trump is the presumptive GOP nominee for president. Last October, Milbank wrote that "I'm so certain Trump won't win the nomination that I'll eat my words if he does. Literally: The day Trump clinches the nomination I will eat the page on which this column is printed in Sunday's Post." By March, he sensed that his D-day -- dining day -- might be near. "I am taking the prudent step of preparing to eat my words in case Trump secures the nomination," he wrote at the time, soliciting recipes from readers. Now, this week, with Ted Cruz dropping out of the race, Milbank says he's going to act on his vow "as soon as I can." "The recipes we've assembled look quite promising," he told CNNMoney. "But we need time to assemble all the, er, ingredients." The Post, meanwhile, is surely salivating at the prospect of video views for Milbank's meal. "The cook-off is coming," he tweeted on Tuesday night.